Standard photo-eye included with Logic 5.0 and Medium-Duty Commercial Operators. Upgrade to the CPS-UN4, CPS-OPEN4 or CPS-RPEN4 for additional features. Primary monitored entrapment protection with NEMA 1 enclosure. Maximum range of 30 ft.
Dual-sided infrared sensors for industrial applications. Solid sensor lights indicate correct sensor alignment. 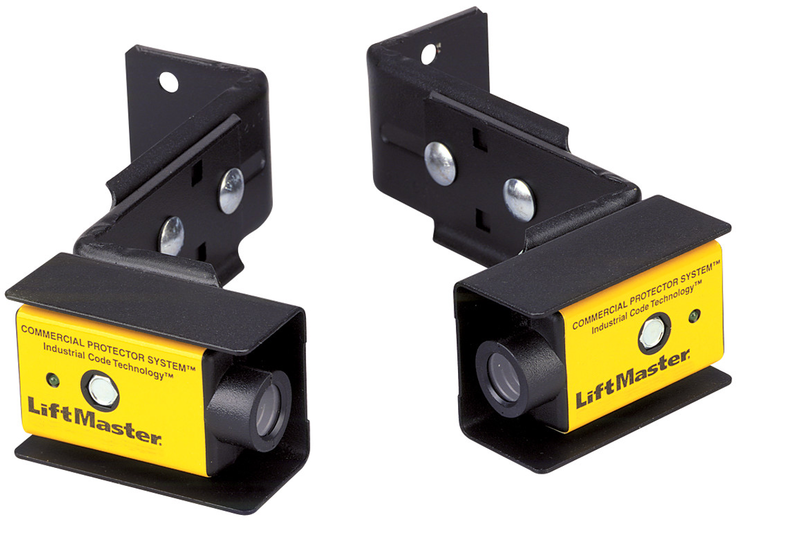 Yellow safety housing provides visibility for industrial environments.